Fisher (the Oracle Prophesies series) scores a resounding success in this beautifully imagined science fantasy set in a far future where, many years earlier, civilization was artificially frozen at late-medieval levels in order to save the world from dangerous technologies. Simultaneously, all of the world’s malcontents and madmen were sealed into an unimaginably vast, sentient prison named Incarceron, where a dedicated group of social engineers intended to create utopia. Claudia, the brilliant daughter of the cold-blooded warden of Incarceron, has been raised from birth to marry and eventually control Caspar, the simpleminded heir to the throne. 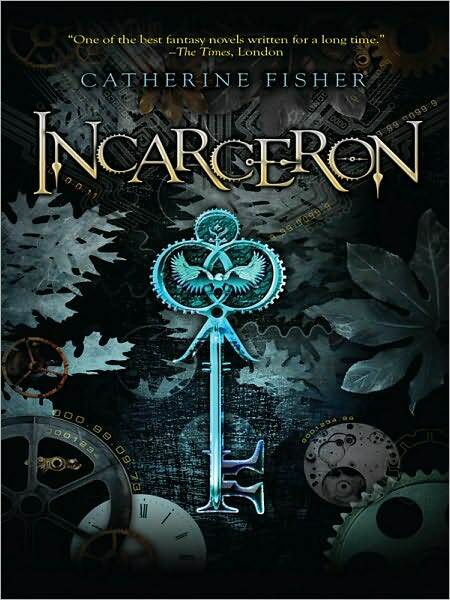 Finn, a young man without a past, is a prisoner in Incarceron, which has become a hideous dystopia, an “abyss that swallows dreams.” When Claudia and Finn each gain possession of a high-tech “key” to the prison, they exchange messages, and Finn asks Claudia to help him attempt an escape. While he negotiates the hideous maze of the prison, Claudia makes her way through the equally deadly labyrinth of political intrigue. Complex and inventive, with numerous and rewarding mysteries, this tale is certain to please. Ages 12–up.